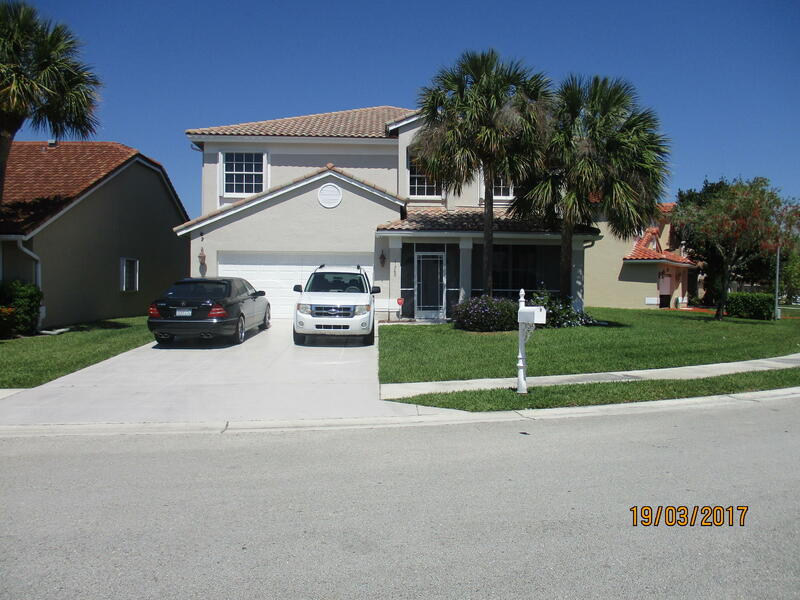 Fabulous opportunity to own in desirable Boca Chase community. Situated on a large, corner lot this 4 bedroom home has over 2800 square feet of living space. Kitchen was just remodeled with new cabinets, granite counters and new stainless steel appliances. Laminate floors installed on stairs and entire upstairs. Master Bedroom suite with sitting room has sliding glass doors that lead out to balcony which overlooks pool/spa. Large master bath with his/hers closets. Huge walk in closets in second and third bedrooms. Accordian shutters and newer roof. A rated schools, low HOA fees and great shopping nearby make this the perfect place to call home. Special Financing Incentives available on this property from SIRVA Mortgage.